There are many dancers from the golden age of Hollywood musicals, however, no other dancer had such sweet nuances as Vera-Ellen. 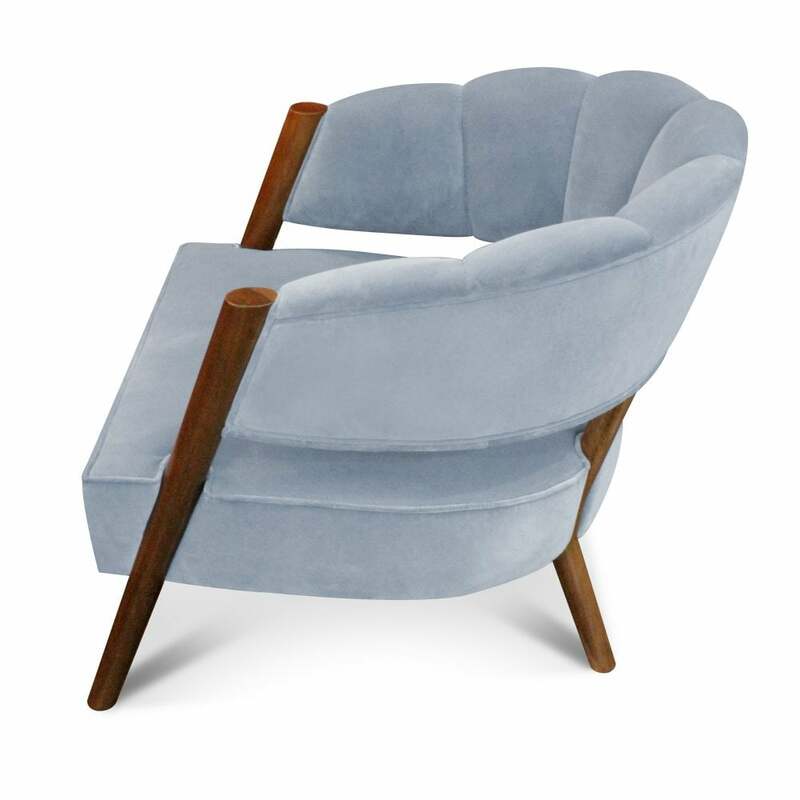 Her delicate and unique beauty inspired Ottiu to create this mid-century modern armchair. Designed for vintage and classical interiors, the armchair has a retro feel with a curved backrest and contrasting pinewood frame. The walnut wood feet and the luxurious cotton velvet upholstery gives the Ellen armchair a contemporary and on-trend look. Part of the Century Collection by Ottiu, the armchair is available in a range of colour and fabric options. Pair with pastel hues and art deco accents for a luxe look that will brighten any neutral interior scheme. Make an enquiry for more information. Priced for Upholstery: Ottiu Fabric. Structure: Pinewood,legs coated in gold leaf with high gloss varnish. Details: Golden piping.